He's 18 years old, he's English, and he's taking German football by storm — no, not Jadon Sancho. Look out Bundesliga, because the Borussia Dortmund star has been joined by compatriot Reiss Nelson. The parallells are clear: quick, pacy, bravado by the bagful, and the talent to back it up. And best of all, and something that is becoming increasingly less surprising, a successful English youngster in a foreign league. Traditionally, English footballers' relationship to travel has been a weak one, but in the wake of Sancho's summer 2017 switch to Dortmund, as well as the likes of Ademola Lookman joining RB Leipzig and Reece Oxford moving to Borussia Mönchengladbach last season, the times — as Bob Dylan sang — they are a-changin'. Nelson is just on loan — at least for now — to German football having signed a five-year deal with Arsenal before joining Hoffenheim for a season in the summer. From what he has shown so far, the Gunners will not be regretting the decision to loosen the teenager's shackles. Six goals in seven Bundesliga appearances have meant the teenager has already become a key element in Hoffenheim's attack this season. Not that Nelson was farmed out without his say-so. With the help of Sancho, the decision to move to the Bundesliga was a conscious one with Hoffenheim targeted for a specific reason: the German top-flight's youngest-ever coach, Julian Nagelsmann. 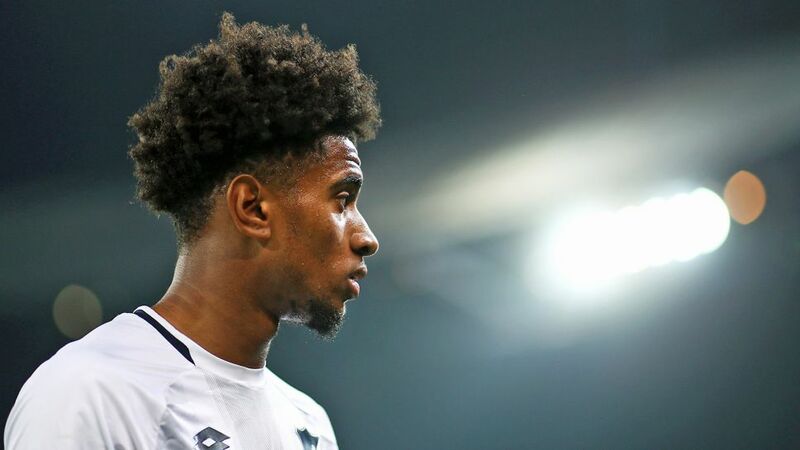 "A loan wasn't always my first option, but when I heard the Bundesliga and Hoffenheim was an option for me and working with the manager there, it was something I wanted to do," Nelson told The FA's website. "Julian's a great manager and he's got belief in young players so it's a good place for me to go and play. He's very young, he's only 31 and I think it's important to go to a team and a coach who believes in you, so he was the main reason, because he is willing to play us." Nelson's arrival helped compensate for the departure of Serge Gnabry, who returned to Bayern Munich in the summer. Hoffenheim fans must have seen little difference with the new arrival "one who can do everything with the ball," as Nagelsmann explained. "Reiss is a player whose qualities can be compared to those of Serge Gnabry, but just not so well developed." That should come with experience, which he will get at Hoffenheim especially if he performs as he has done up to now. Then again, it should be no real surprise Nelson has taken to the Bundesliga in much the same way as his good friend, and biggest fan, Sancho. "He has shown that he can dribble, go past people and he isn't fazed by the occasion," explained Arsene Wenger, who should know a top-quality footballer when he sees one, while former Arsenal defender Martin Keown gushed, "He showed the sort of touches you often see or associate with a Neymar or a real top player." Nelson and Sancho: England's Bundesliga future? A no-quarter-given defender in his playing days, Keown will also appreciate Nelson has met the physical challenge of facing established, Bundesliga-hardened pros on the pitch. Not that that is something new to London-born teenager, whose first harsh lessons in the game came in the school of hard knocks — literally — on the streets of the British capital. That progress is now taking place on the pitch in Germany, and has not gone unnoticed across the English Channel where — like Sancho — Nelson is catching the eye of the nation's football powers-that-be. He is yet to take the same path as Sancho into the senior team, but is surely not far behind. He made his Under-21 debut during the October international break, providing fans with a spot of deja vu by scoring after coming off the bench in a 7-0 romp against Andorra and also smashing home a superb free-kick against Scotland. Are you watching Gareth Southgate? Probably. At least Nelson believes the England manager has an eye on him. "Gareth has made it clear that the pathway is there so if you're young and you're good he’ll give you a chance," he said. "I'm trying to get in there and do my magic."